In brief: Norwegian developer Opera has released a new version of its Android browser that includes a free and unlimited built-in VPN. A few months after it became the first major web browser to come with a built-in ad blocker in 2016, Opera built a VPN service directly into its desktop browser. That same VPN started rolling out to mobile beta users last month and is now available in Opera 51 for Android. 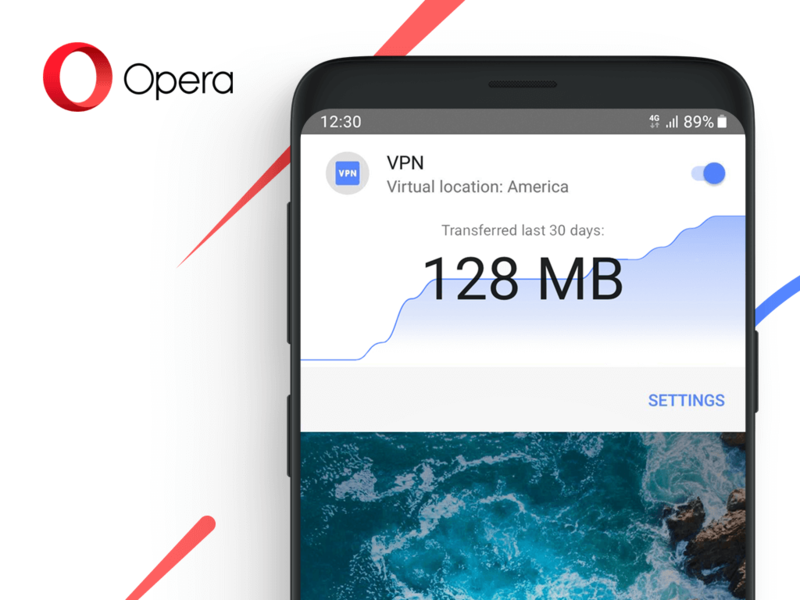 As with other VPNs, Opera’s unlimited service creates a private and encrypted connection between the mobile device and a remote VPN server. It features 256-bit encryption, and users can select a server of their choice from a list of locations, or let it pick one for you, thereby obscuring a true physical location—and you don’t even need to create an account to use it. Most free mobile VPNs don’t have the best reputation. A 2017 study that tested 283 VPN apps from Google’s Play store found 38 percent of them contained some form of adware, malvertising, trojan, riskware, or spyware. Sixty-seven percent featured at least one third-party tracking library, and 82 percent request permissions to access sensitive data, including user accounts and text messages. Opera’s VPN isn’t in the same category as those shady apps, of course, and as it’s a no-log service, its servers do not log and retain any user activity data. With online privacy such a concern these days, and the increasing popularity of public Wi-Fi spots, more people are turning to VPNs. Having a service integrated into a mobile browser makes the whole process easier for less tech-savvy consumers.